(Bel Air, Maryland: August 13, 2015) In honor of its continued quest to improve the community, the CEM team, represented by leadership and team members, were on-hand to receive the 2015 SmartCEO Cornerstone Award yesterday during a live announcement at an awards luncheon held at The Grand in Baltimore. The Cornerstone Award celebrates the entrepreneurial spirit of local business and honors the contributions and achievements of the 30 top businesses in the Baltimore metro area for their positive economic impact and serving as model stewards of the community. Finalist companies represent all business sizes and industry segments, which have made a positive impact on job creation and retention, market competition and philanthropy. CEM, a full-service environmental consulting firm headquartered in the small, suburban town of Bel Air, Maryland, seeks to improve the community in which they live and work through every facet of their operation. CEM utilizes a holistic approach to improving the human condition, which begins with responsible stewardship and efficient use of tax funding to conduct environmental projects. In addition to stewardship, CEM participates in community and public service initiatives, individually and collectively. Finally, CEM conducts an annual giving program, with five percent of annual profits donated back to local nonprofit organizations. 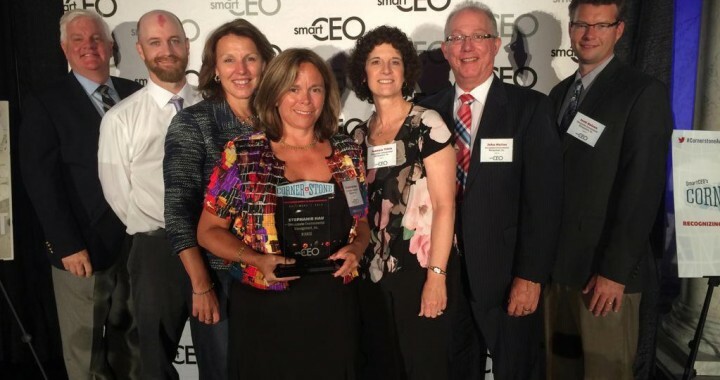 In addition to CEM, each business honored as a finalist for the Cornerstone Award will be profiled in the July/August 2015 issue of SmartCEO magazine. For more information on the SmartCEO Cornerstone Award, visit www.smartceo.com/baltimore-cornerstone-awards/.